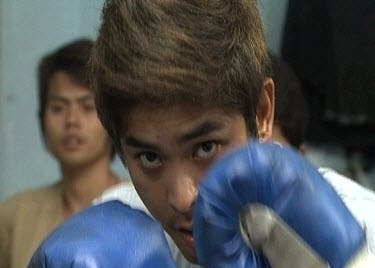 In the story, Coco portrayed the role of Ramon, an underground boxer who grew up as a battered child. At the time when Ramon has decided to change his way of living, unfortunate events forced him to commit crimes which enraged his family. Together with Coco and Jodi in the episode are Philip Nolasco, BJ Forbes, Celine Lim, Veyda Innoval, Michael Roy Jornales, Carlos Morales, Levi Ignacio, Andrei Garcia, Aleck Bovick, and Mike Lloren. It was researched by Alex Martin, written by Benson Logronio and directed by Dado Lumibao. Don’t miss another remarkable TV master piece this Saturday in “Maalaala Mo Kaya” (MMK), after “Wansapanataym” on ABS-CBN. For more updates, log on to www.mmk.abs-cbn.com, follow MMKOfficial on Twitter, and “like” www.faceboook.com/MMKOfficial.